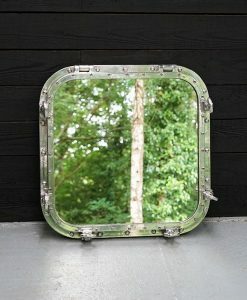 Super tanker ships salvaged fixed window. 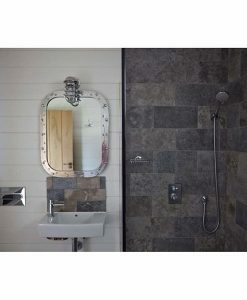 Can be hung portrait or landscape, most have fittings for one or the other and some both, but you can easily add wall fittings. 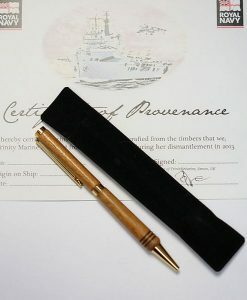 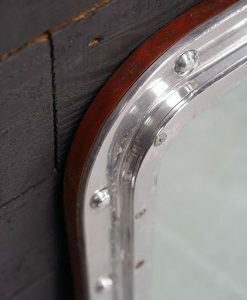 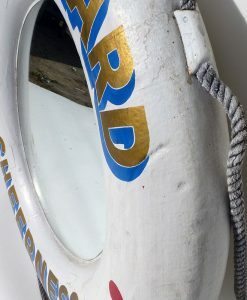 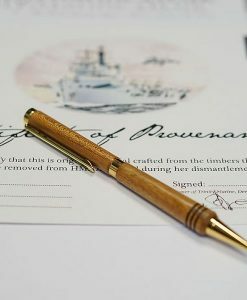 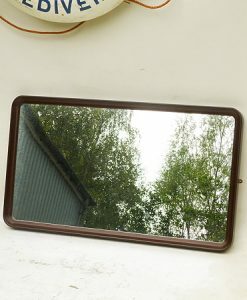 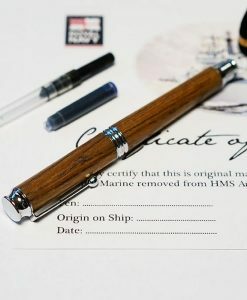 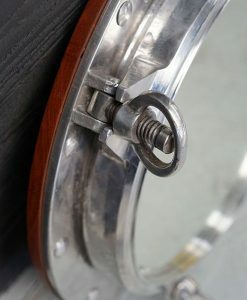 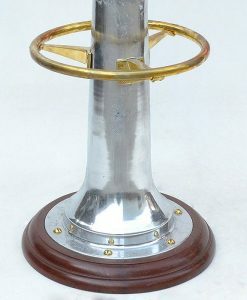 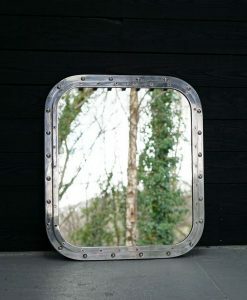 No reproduction ships porthole can replicate the character and impact of the genuine article. 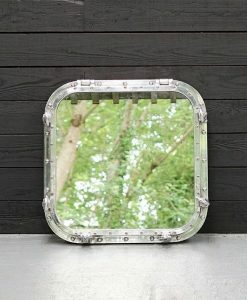 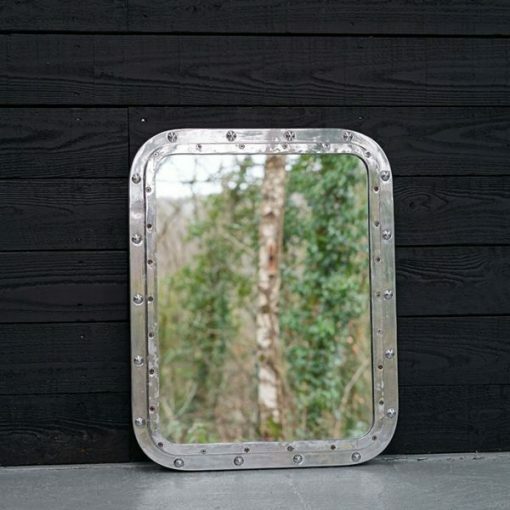 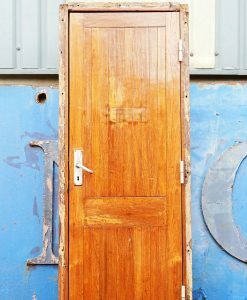 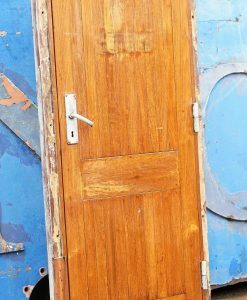 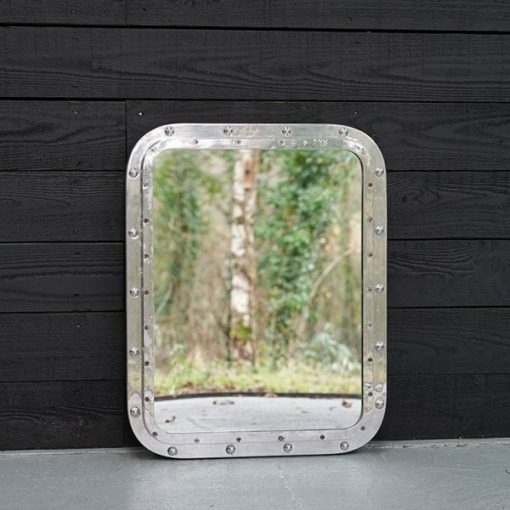 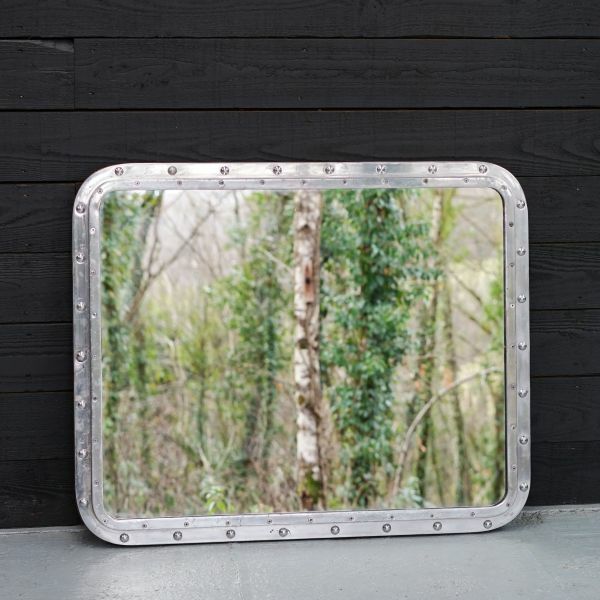 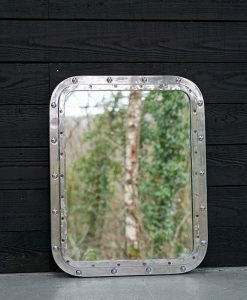 Our exclusive new range of up-cycled aluminium ships portholes and windows, salvaged from old ships at the infamous ship-breakers are perfect examples of that. 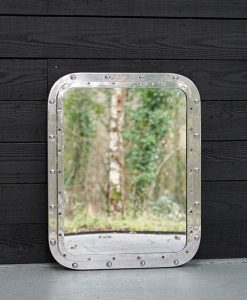 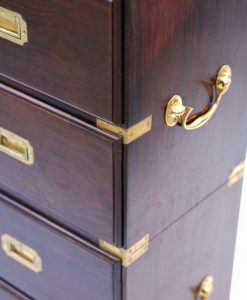 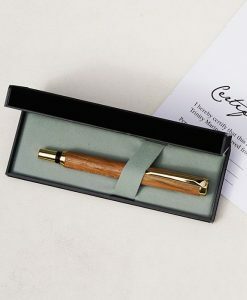 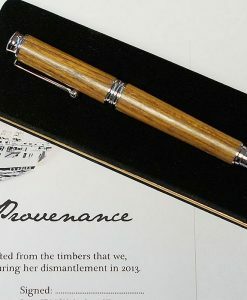 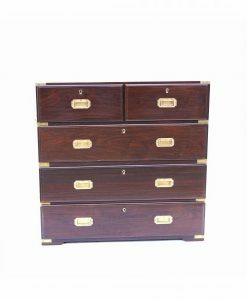 Professionally stripped, polished and converted into elegant, practical pieces. 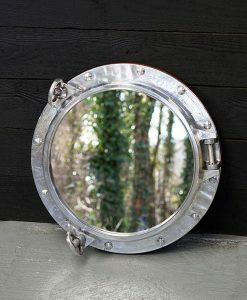 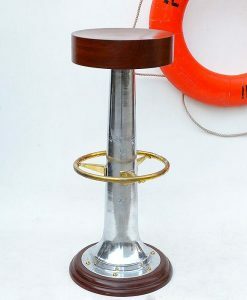 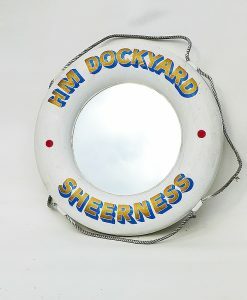 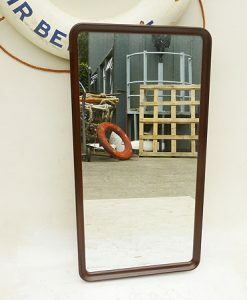 Best of all, whilst I can still find these portholes at the ship-breakers and am able to replace this stock, we can keep this range at extremely affordable prices, to counteract reproduction and ‘throw-away decor’. 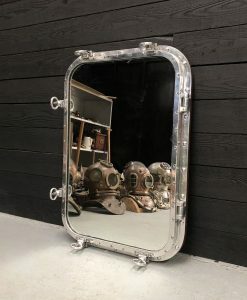 With such a large variety of sizes onboard these ships and with such large quantities available to us we are able to supply this range in large commercial runs and even bespoke where necessary. 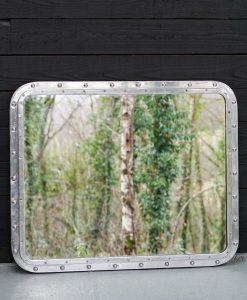 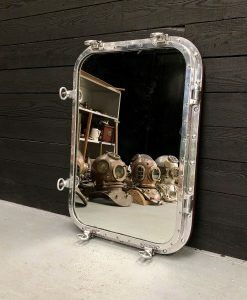 Assuming you are willing & able and also situated in the right postcode, would you like to beautifully present and enthusiastically sell our exclusive mirrors then please contact us. 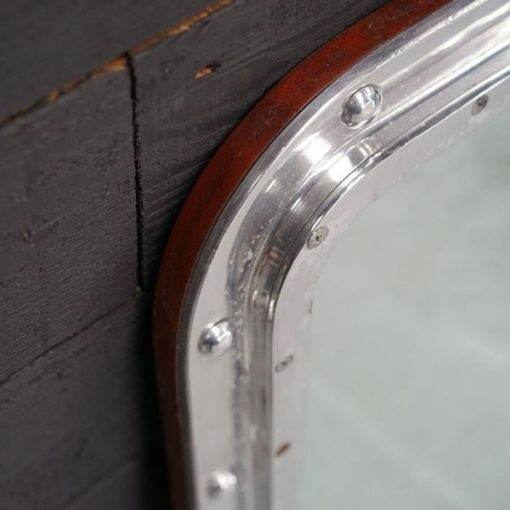 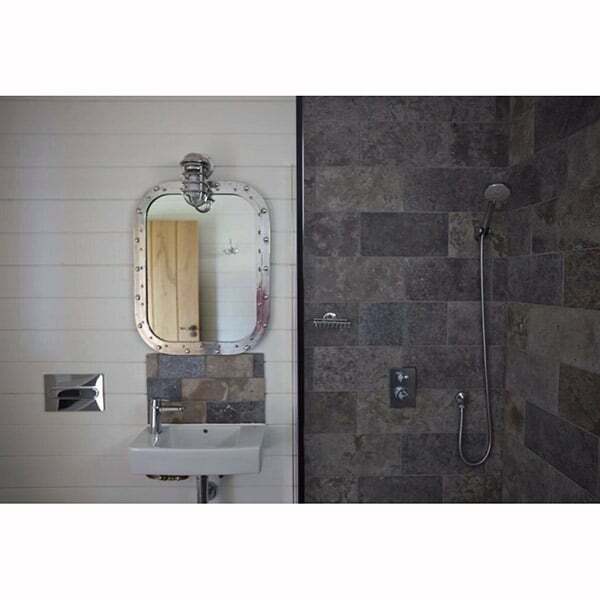 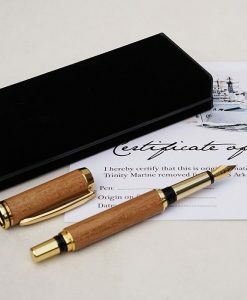 Back trim is the finest ships teak with wall fixingsCan be hung portrait or landscape, most have fittings for one or the other and some both, but you can easily add wall fittings.